Cuker was recently given the opportunity to host an event facilitated by San Diego Python Users Group called ‪Django Day‬. Django Day was an all day workshop created in order to allow San Diego programmers and developers an opportunity to learn more about our favorite high-level Python framework, Django. The workshop was broken up into two tracks in order to accommodate different levels of understanding of Django. The first was a beginner class, which was an overall tutorial on how to install, set up and build a custom web application with Django. The second, intermediate class was taught specifically for developers who were well versed in Django, but wanted to further their knowledge and skill set. The intermediate track was broken up into four main parts: Django Security, Django for Production, the Django Ecosystem, and useful Django Applications. 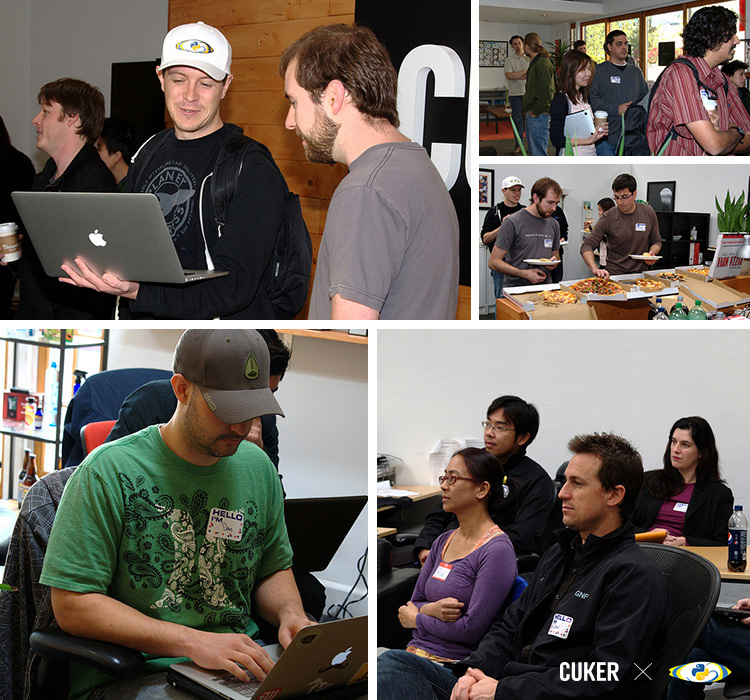 Because of Cuker’s love affair with this high level Python web framework, it was really a pleasure to host this event. We enjoyed opening up our doors to the developer community in San Diego and can’t wait for the opportunity to host again soon! Published on March 7, 2013 .